Age 69, of Baldwin, went to be with his Lord and Savior on October 25, 2018. Rudolph is survived by his beloved Wife, of 47 years, Diane (Verno) Seles; Loving Father of Rudolph F. (Jennifer) Seles Jr., Joseph A. (Melanie) Seles and Kellie Ann (Edward) Spontak; Pap-Pap of Edward Spontak and Nicholas Spontak; Pappy of Morgan Seles; Son of Dorothy V. Seles; Brother of John Seles and Shirley L. (the late Frederick) Harr; as well as many nieces, nephews, and friends. He was preceded in death by his Father, Rudolph A. Seles. Rudolph led his life by his faith in God. He worked as a Plant Manager working in steel fabrication for most of his career and was an avid golfer. Above all he loved his family dearly and will be sorely missed. 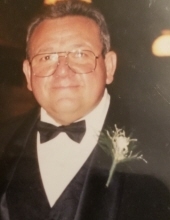 Visitation will be held on Sunday, October 28, 2018 from 2 to 4 pm & 6 to 9 pm at the JEFFERSON MEMORIAL FUNERAL HOME, INC., 301 Curry Hollow Rd., Pleasant Hills, 15236. A Mass of Christian Burial will be held on Monday, October 29, 2018, 10 am, at St. Elizabeth's of Hungary, 1 Grove Place, Pittsburgh Pa, 15236. Memorial contributions may be made to UPMC Cancer Center, c/o Stanley Marks endowment research MD fund. Condolences may be left at www.jeffersonmemorial.biz. To send flowers or a remembrance gift to the family of Rudolph F. Seles, please visit our Tribute Store. "Email Address" would like to share the life celebration of Rudolph F. Seles. Click on the "link" to go to share a favorite memory or leave a condolence message for the family.